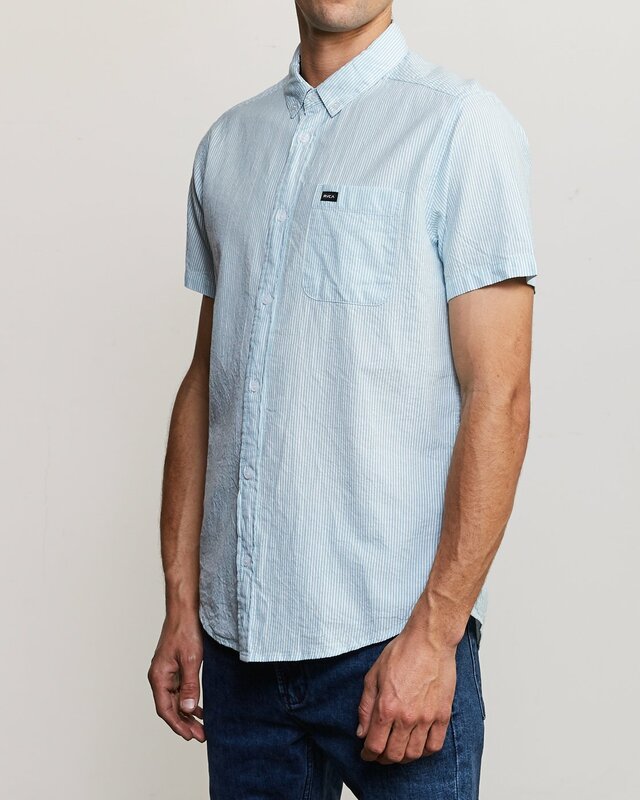 Elevated and premium, the That’ll Do HI Grade SS by RVCA is more than your classic preppy shirt. 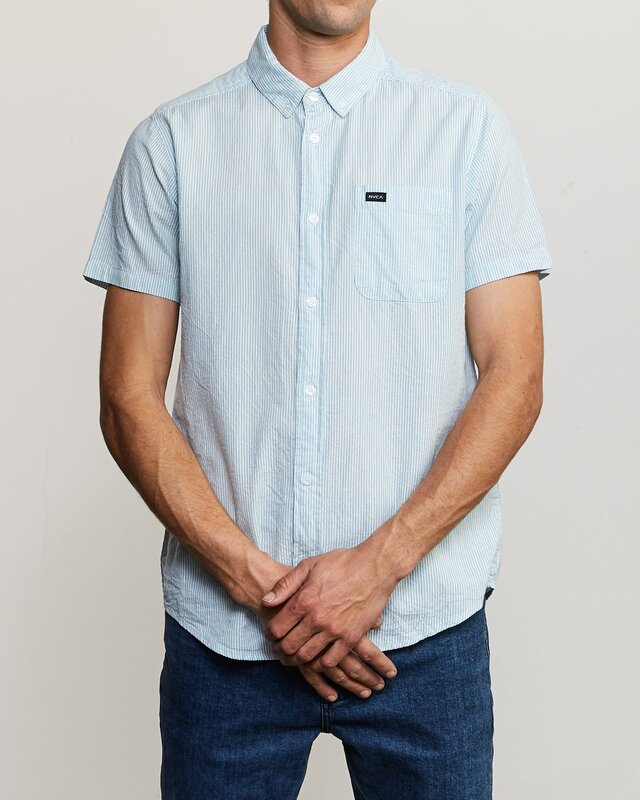 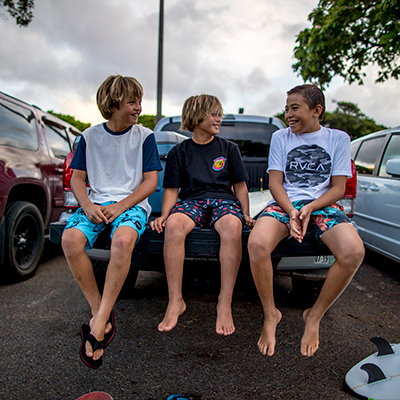 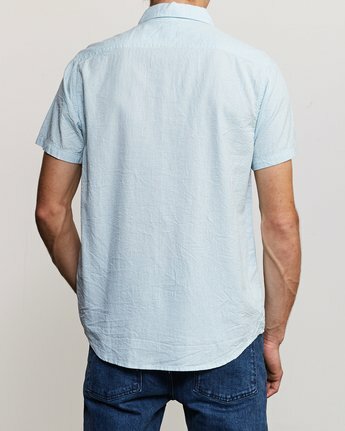 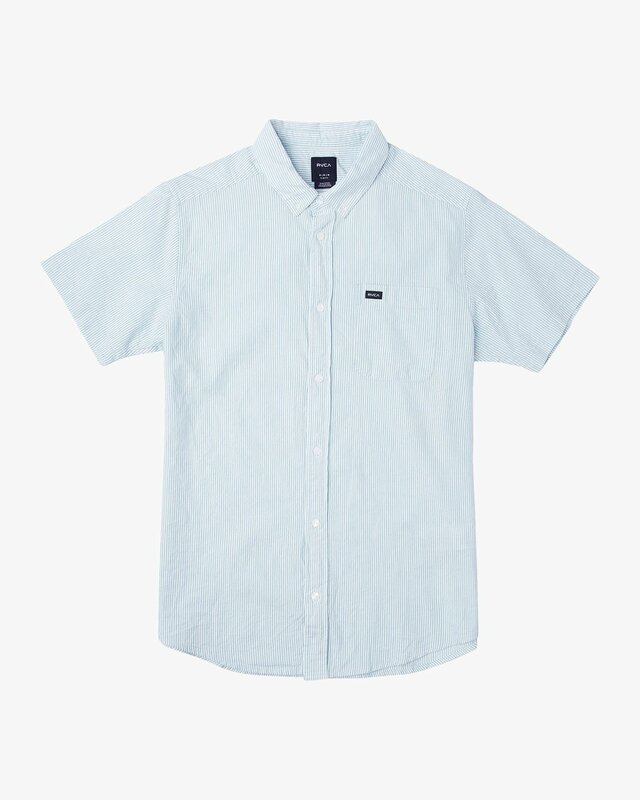 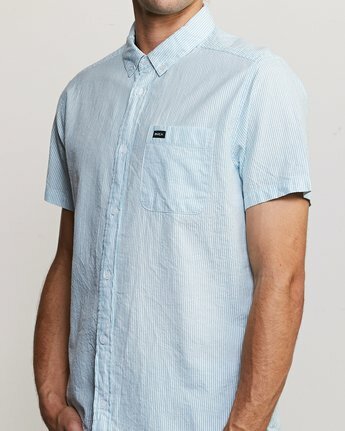 A slim fit short sleeve woven, it features high-end finishing on the 100% cotton body (cotton dobby on the Antique White and Seattle Blue; seersucker on Sky Blue). 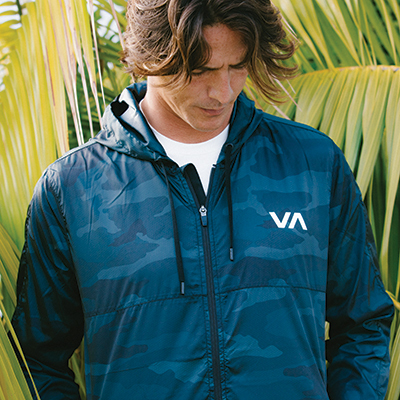 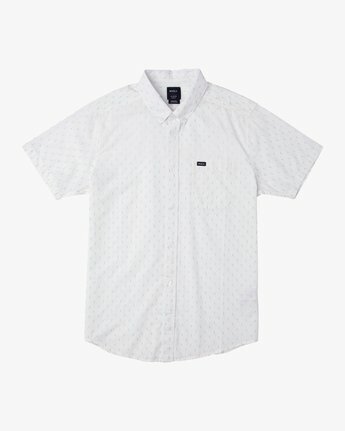 Look out for button on the collar points, a patch pocket on the left chest, and A RVCA solo label at the pocket hem.